Thanks to our contributors’ generosity, we met our goals already! We would like to express our infinite gratitude to all of you who supported the project and/or help spread the word so extensively! The crowdfunding adventure for ’Enora’ has been off to an amazing start but is not over yet! The movie still has a long way to go before meeting the big screen! That is why each donation is very precious! Thanks to your support, post-production could be extended, enhancing the final look of ’Enora’, and the film could be presented to more festivals all around the world! There’s only a few days left for this campaign in which more than 130 people already put their faith! 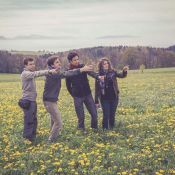 Head off on an extraordinary film-making adventure with us! The young alien Enora crashes on Earth in an Italian forest during the second World War. As she is leaving the crash site wounded, she loses her ocarina, a very precious object she desperately needs to call for help and go back home. Her encounter with James, a Scottish war medic, will be decisive in her quest. «Enora» is the new short movie of the Swiss collective Bad Taste Pictures. 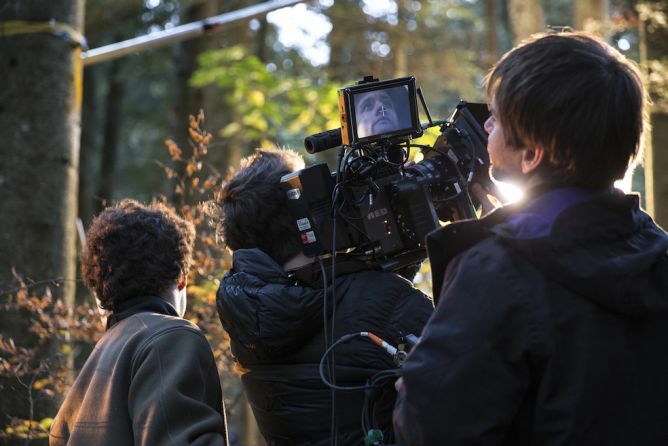 It’s a historical film shot entirely in outdoor locations with English-speaking and Italian-speaking actors. Mixing drama with adventure and fantasy, «Enora» aims to take the audience through an incredible journey. 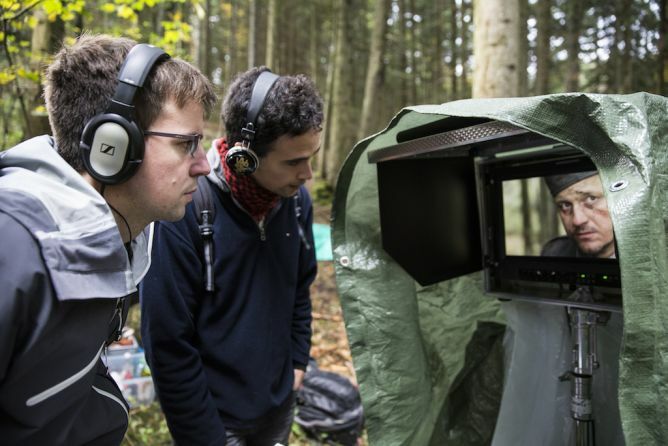 The shooting took place in late October in our nice woods of Romandie. The duration of the film will be of approximately twenty minutes. Once completed, it will be presented to festivals in Switzerland as well as internationally, representing Swiss cinema abroad. The idea behind «Enora» is to present a concept that is strong and universal. We aim to highlight the positive aspects of the differences between people, rather than focus on the fear of the unknown. We hope to engage the audience through an unusual encounter: we witness the meeting of two radically different creatures, an alien and a war medic. The 19-year-old Swiss actress already has an impressive stage experience thanks to her passion for comedy. She has been practicing theater, as well as improv, for many years on the Swiss regional scene. Isabelle Campiche began her film career in 2012 in the short film «Meilleures amies» by Aline Lakatos. Born in Glasgow in 1983, Sean Biggerstaff is a versatile actor as he has been developing his career on stage, television, cinema and also at the radio since the age of ten. He interpreted among others the role of Oliver Wood in the «Harry Potter» saga (2001-2011), the lead male characters in British film «Cashback» (2006) and feature film «Mary Queen of Scots» (2013) by the Swiss Thomas Imbach. Thank you in advance for your support ! Please spread the word about the project, you’ll be helping us bring this movie to life!